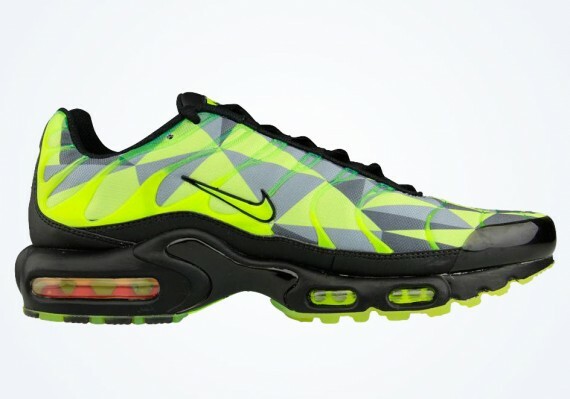 The return of the Air Max Plus by Nike also includes this all new graphic-covered pair in a vibrant 'Volt' color scheme. 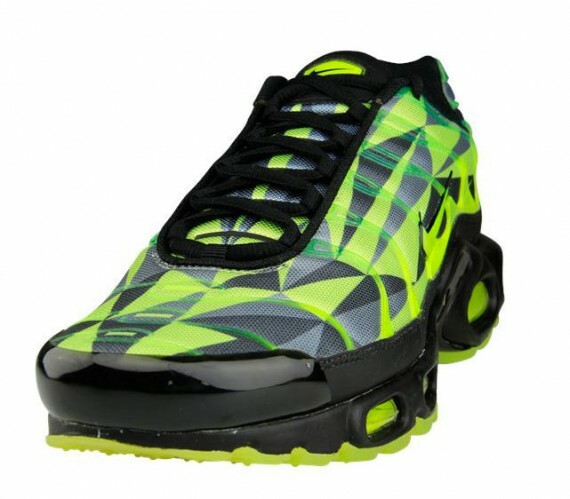 This new look Air Max Plus features a unique graphic in a series of energetic green hues throughout the upper, topped with the shoe's iconic rubber overlays in volt. 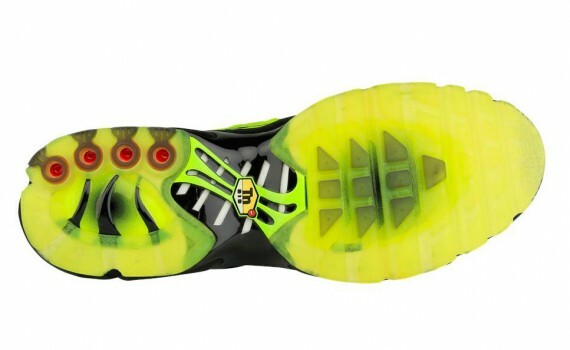 Black hits the laces, tongue and midsole, while volt and red combine to fill the Tuned Air unit down below. 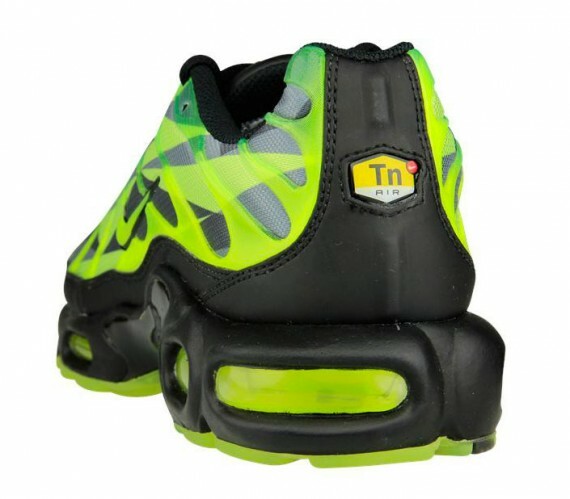 The Volt/Black-Neon Green Nike Air Max Plus is now available from Foot Locker EU. Stay tuned to Sole Collector for details on a possible stateside release.